Start taking classes at Juggernaut Fight Club and other studios! 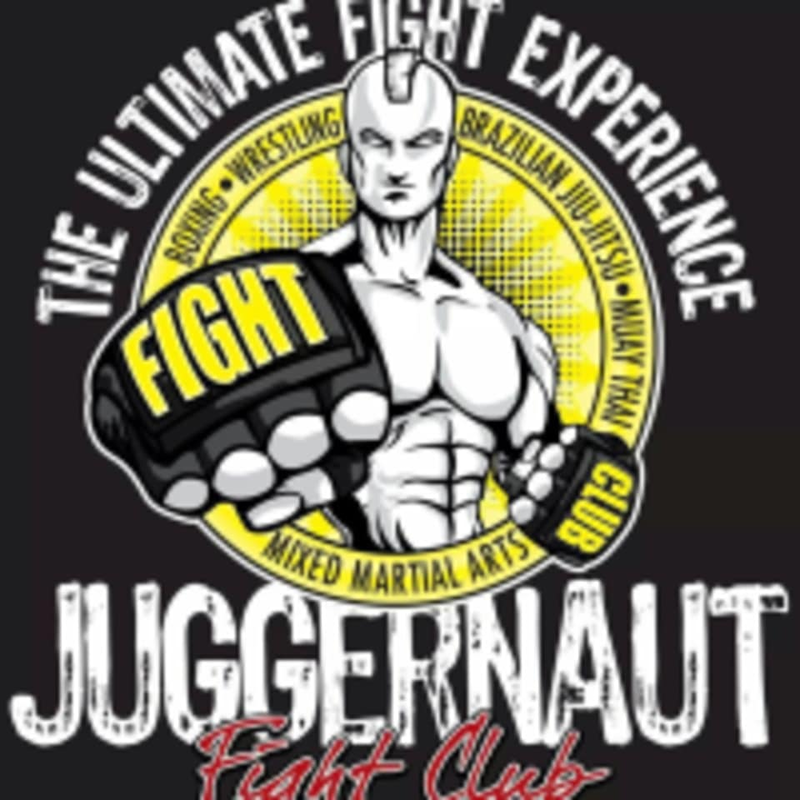 Juggernaut Fight Club is a combat sports gym with a no-nonsense approach to training that strips away the fluff from the technique. Members enjoy the grit, energy, and camaraderie of the gym. All classes pay detailed attention to technique and focuses on building skill, endurance, and conditioning. Our classes cater to not only fighters, but individuals of all levels and all walks of life- whether you have zero experience, or dream of becoming a fighter. We want to inspire people to work hard at the sport they love while having fun at the same time. Please wear comfortable workout gear. Handwraps are mandatory if you want to continue with us (but not mandatory for first timers). You can purchase them at the gym for $20 or bring your own. We have public gloves and shinpads for your use, but please note these are SHARED public gloves so they aren't squeaky clean. Please come 10-15 min early to do your registration and to get settled in class! Do make sure you are marked attended as we will not be liable if you miss the attendance. We are in the same compound as Ziva Yoga (opposite Bakalaki Greek Tavern). Closest MRT is Tiong Bahru MRT- once you exit, check the buses that go to block 1 and alight after one stop and cross the street. You will find us there! We have free parking if you come early (if not there is paid parking opposite the gym). Please be punctual for our classes. We will not allow anyone in classes past 10 minutes. Spent 1 hour learning 4 moves, should have more variety, it gets very bored doing the same thing again and again. Can be more intense too. Hi there, thanks for the feedback! For our beginner classes, we do not like to load too much technique onto our students as it can be a lot to handle. You can try our advance class in the future, thank you! Class will be held in the ring itself. Class itself is fun, not intimidating for beginners. Coach Calvin is very attentive to everyone. Love it. I would give 5 stars if they have coolers but hey, one could always purchase them at cheap price. Excellent class with professional trainers. Good for all levels. Tempo of the class is intense with a good mix of drills, reaction drills, light sparring and bag work. Trainer walk around correcting your technique. instructor is very nice and understanding! It was really good but unfortunately I did not have the stamina to keep up ???? I wish I could've done it, but aside from that everything else was good. 5 stars as in. Too intense for someone that hasn’t boxed in 2+ years.